For more than 25 years, Sandi Givens has worked with literally thousands of women at all organisational levels and become one of the most respected speakers on Women’s issues and Businesswomen’s Professional Development needs. Despite the differences of profession and industries, she has discovered businesswomen face many common themes and challenges, and many of these she has faced herself. As a leading specialist in this field, Sandi has catapulted the careers and financial success of women in corporate management and independent business ownership through her Conference presentations, Seminars and Executive Coaching. 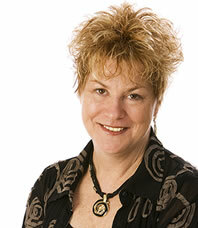 Sandi is an International Award-winning Professional Speaker and Facilitator, and has volunteered her time as the Patron of the Australian Institute of Office Professionals Victoria Division, as a Member of the Advisory Board of The Global Good Foundation and a committee member of her local Cancer Council Relay For Life event. This is a rare opportunity to spend time with Sandi in a small group environment where individual attention can be given to your professional challenges. Authentic, inspiring and insightful, Sandi’s provocative (not prescriptive) approach impels women upward in their careers and enables them fully live their leadership and maximise their contribution to their organisation.